I don’t know how it’s where you live (let me know in the comments! ), but from my personal experience Korean cuisine seems to be less known in Europe and my area. I am not sure why as it is a versatile and interesting cuisine. It has a complex history and evolved greatly over the past centuries. 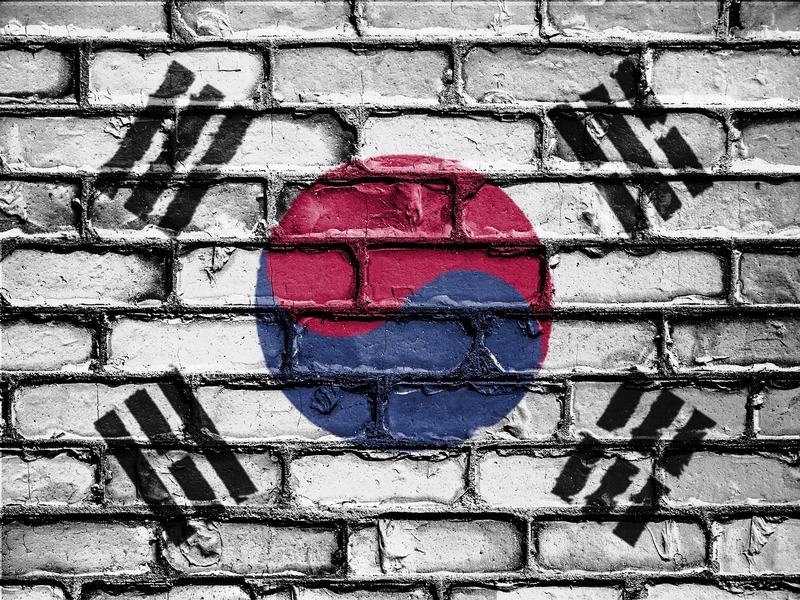 Its roots can be found in agricultural and nomadic traditions from the Korean peninsula and southern Manchuria. 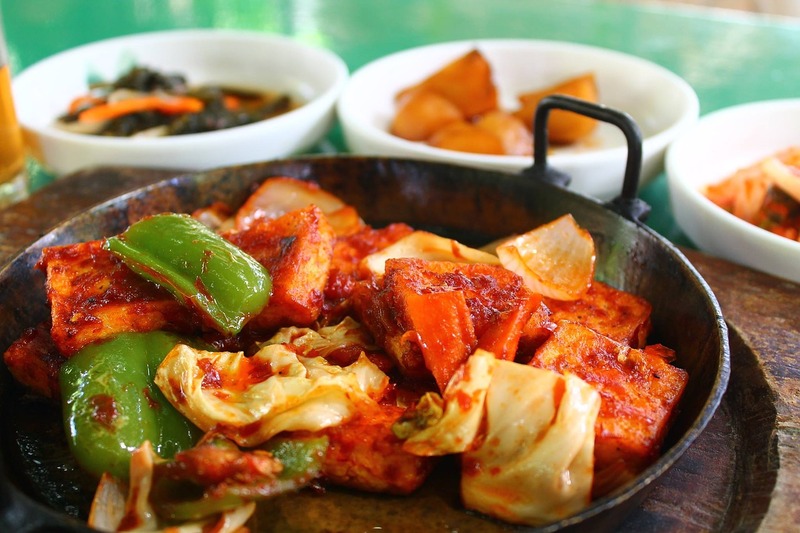 Today traditional Korean dishes are based for the biggest part of rice, vegetables and meats. That is not so different from their Asian neighbours. They have a few particularities though. One of them are side dishes called banchan (반찬), that accompany the steam cooked rice. One of those banchan can often be found as part of main courses too: kimchi. 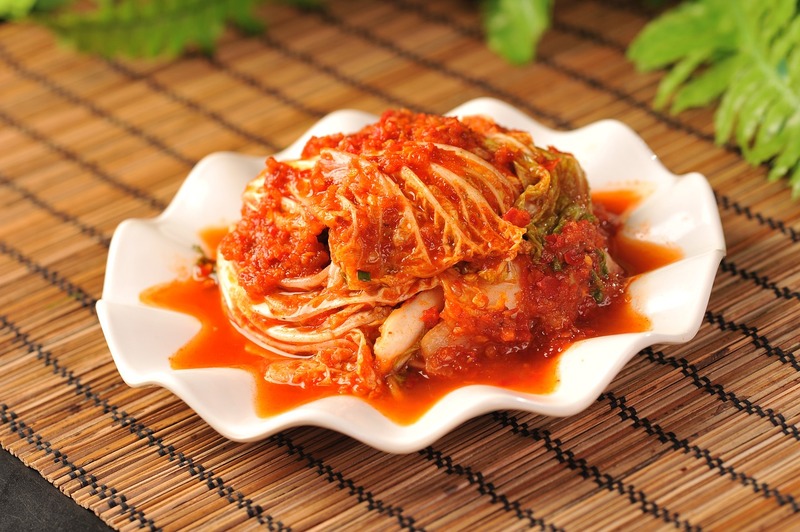 Typically kimchi is a salted and fermented side dish based on vegetables. If you talk about kimchi as a stand-alone term though, you usually speak of kimchi made out of cabbage or Korean radishes. Looking for more Recipes? Get my Low Carb Cookbook! The base ingredients are next to the vegetable you want, sesame seeds and oil, gochujang (a fermented red chilli paste – great for soups and stews too), Korean chilli powder, scallions, garlic, and of course soy sauce. Ultimately every family has their own seasoning for their kimchi. Sigeumchi-namul can be another banchan. 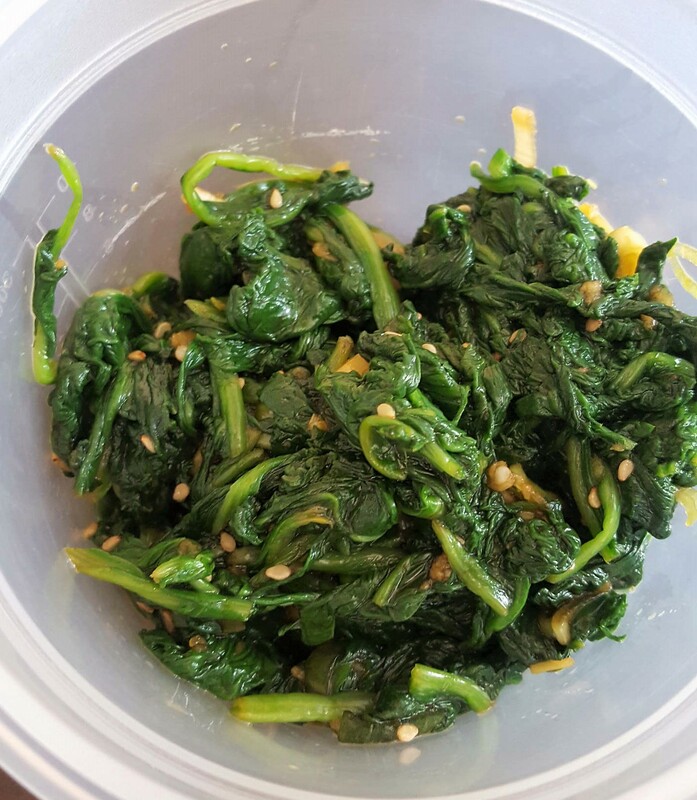 It’s basically blanched spinach with a seasoning of soy sauce, sesame oil and seeds, some garlic and ginger and chopped scallions. It’s incredibly easy and fast to make and lasts easily a couple of days. As you don’t need to use any fish sauce you can make an extremely delicious and nutritious side dish that happens to be vegan. I fell in love with spinach, a vegetable I used to dislike with all my heart, and this recipe makes it a real treat. As I live on the spicy side of life I prefer adding a few of the above mentioned Korean chilli flakes or mix some gochujang with the soy sauce. For this recipe, I opted for the flakes as an optional route. Please be careful with them. They are actually very tasty and yummy but incredibly spicy too. Therefore handle them with care. It’s easy to make two versions out of this spinach side dish. Once you made the basic sigeumchi-namul prepared you simply divide it and add as many chilli flakes to one part as you want and mix it up again. And that’s it. You can go ahead and eat it instantly. For better taste though I would recommend to let it sit and marinate for a few hours. I hope you enjoyed this quick recipe. Let me know if you have any experience to or with Korean cuisine. As I barely scratched the surface on their variety of dishes I’d like to know what your favourite is. Share this article with your friends. Bring a big pot full of water to the boil. Now cook the spinach in batches for 30 seconds in it. Then you take it out and cool it down under cold water. 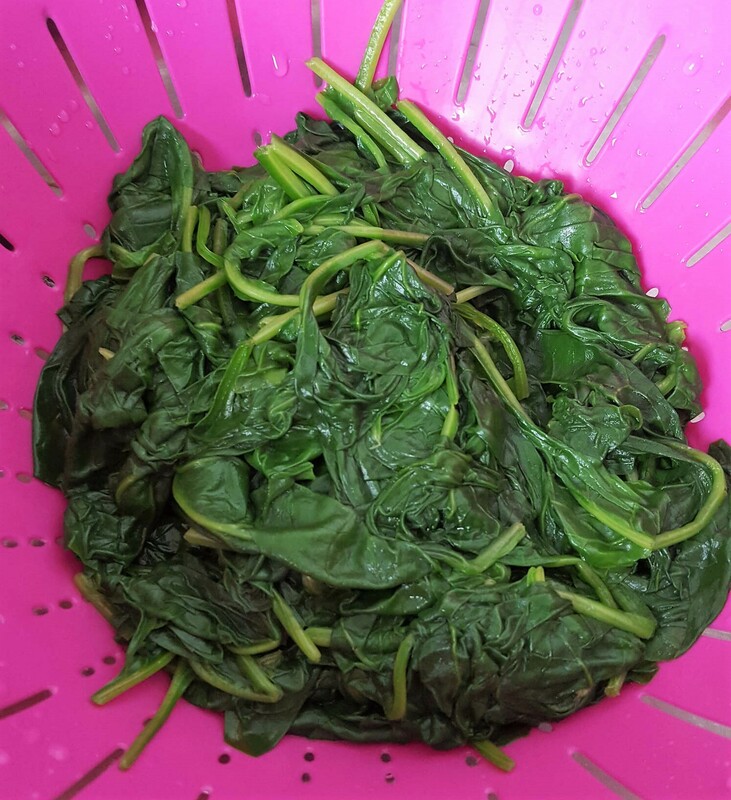 Repeat until all the spinach has been blanched. 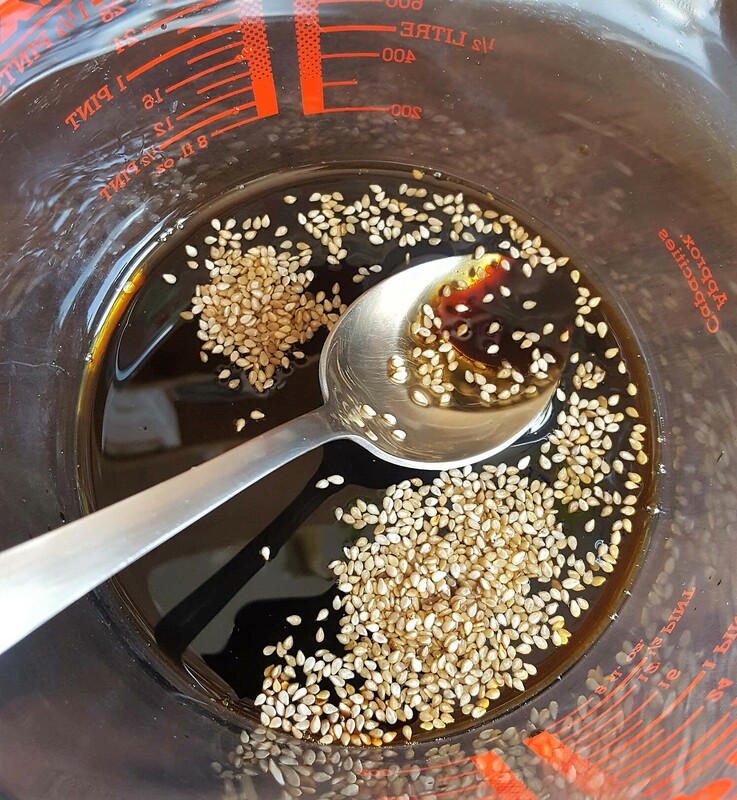 Mix the soy sauce, the sesame seeds and the oil. Clean, peel and cut into pieces of your choice the garlic and scallions and add them to the soy sauce mixture. Now add all the blanched spinach to the sauce and mix it. Put half into a air-tight container and place it in the fridge. 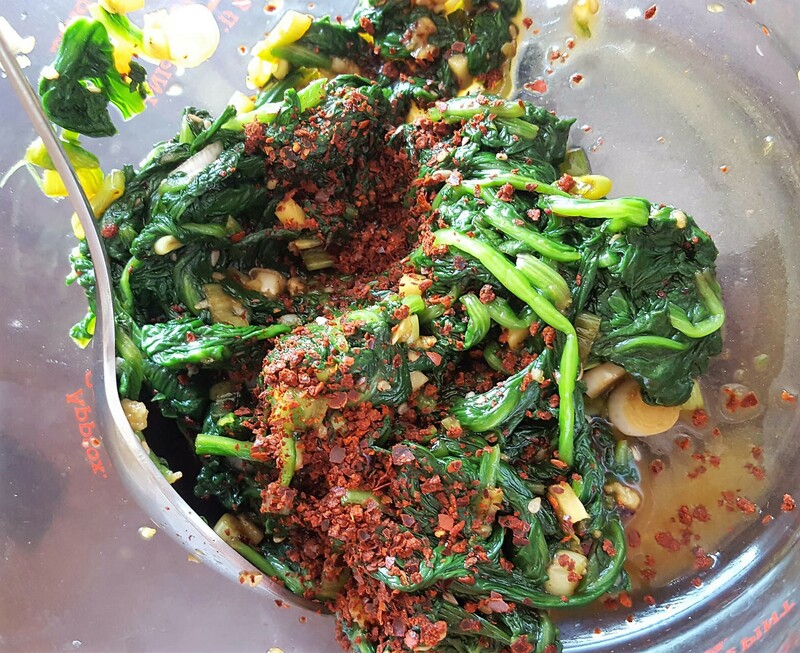 Add the chilli flakes to the remaining spinach, mix and put it into another air-tight container and place it in the fridge. The chilli flakes are optional. Besides that, you can add 1-2 teaspoons of chopped ginger too. 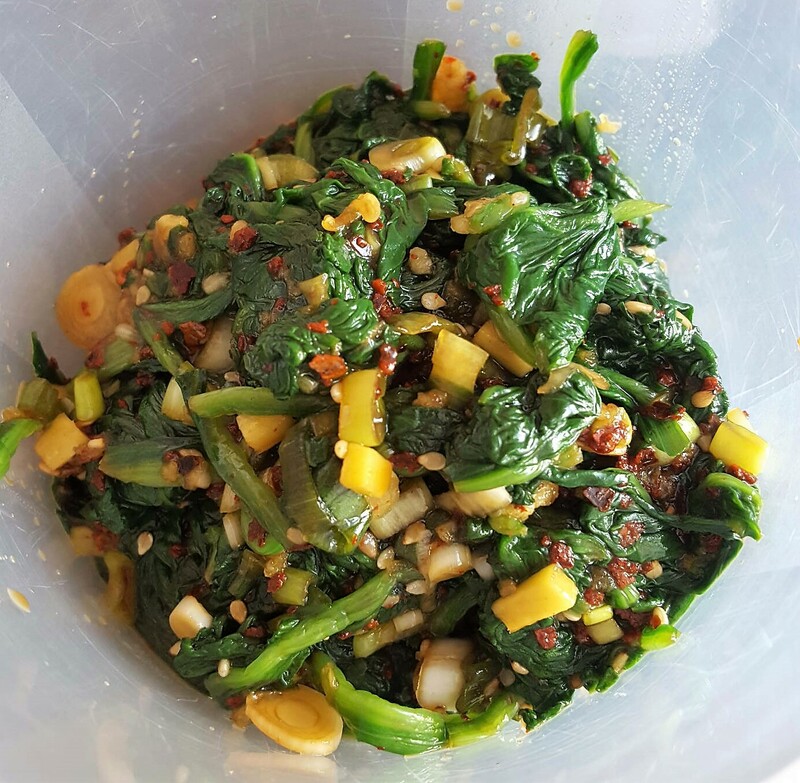 This entry was posted in Cooking, Low Carb Diet, Recipe, Vegan Diet and tagged banchan, Korean, low carb, recipe, sigeumchi-namul, spinach, vegan by Stefan. Bookmark the permalink.